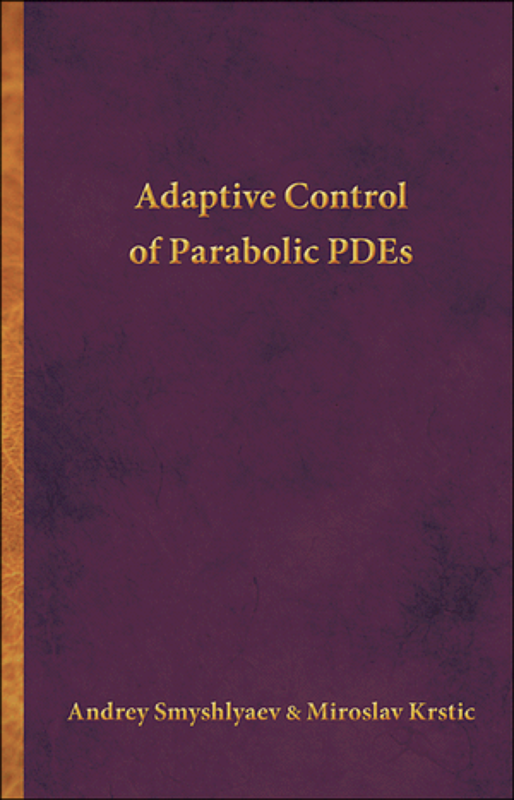 This book introduces a comprehensive methodology for adaptive control design of parabolic partial differential equations with unknown functional parameters, including reaction-convection-diffusion systems ubiquitous in chemical, thermal, biomedical, aerospace, and energy systems. Andrey Smyshlyaev and Miroslav Krstic develop explicit feedback laws that do not require real-time solution of Riccati or other algebraic operator-valued equations. The book emphasizes stabilization by boundary control and using boundary sensing for unstable PDE systems with an infinite relative degree. The book also presents a rich collection of methods for system identification of PDEs, methods that employ Lyapunov, passivity, observer-based, swapping-based, gradient, and least-squares tools and parameterizations, among others. Including a wealth of stimulating ideas and providing the mathematical and control-systems background needed to follow the designs and proofs, the book will be of great use to students and researchers in mathematics, engineering, and physics. It also makes a valuable supplemental text for graduate courses on distributed parameter systems and adaptive control.